The Game is a cooperative card game for 1 to 5 players. 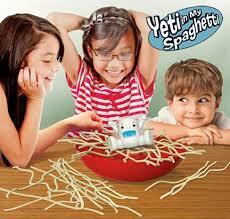 It's easy to learn and quick to play. 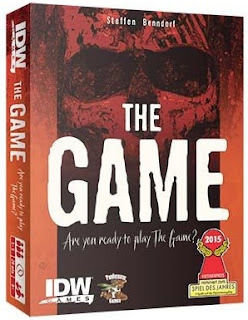 The goal is to collectively get all of the 98 cards in the deck into four piles. Sounds easy, right? You will have two ascending piles starting with the number 1 card and two descending piles starting with the number 100 card. 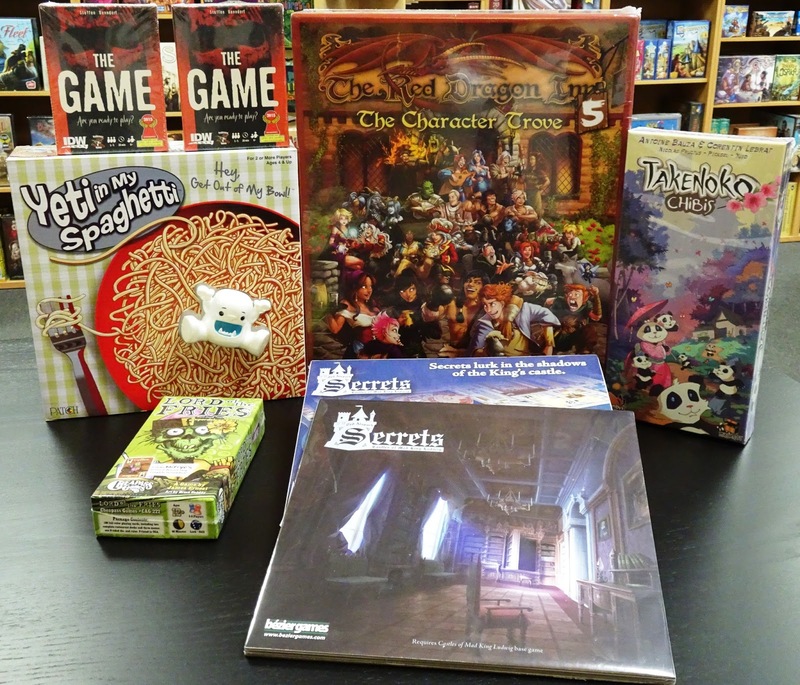 On each turn players will play two cards from their hand of 6 to 8 cards onto one or more of these piles. Next they will draw back up to the hand size from the 98 card deck.There are a couple of twists in the rules and like Hanabi it's not as easy as it appears to win the game. Secrets is the first board game expansion to Castles of Mad King Ludwig, a tile laying game were players build their own perfect castle. 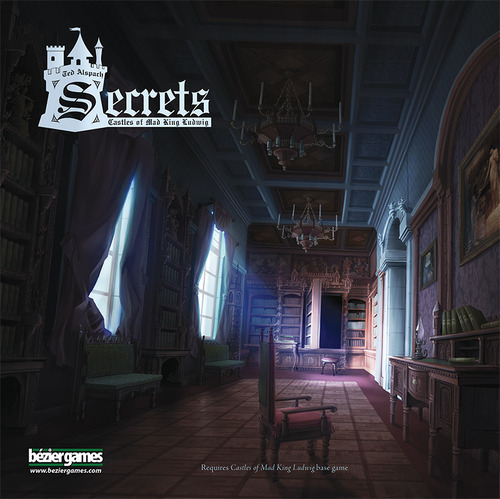 In Secrets dozens of hidden swans are scattered about thirty new rooms. Surrounding and protecting your castle are Barbicans and Moats, making every room inside it even more valuable. The King has come up with more favors, including one for creating Courtyards. Clever secret passages enhance connections and muffle sound from Activity rooms. 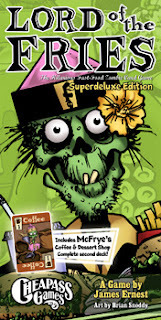 Lord of the Fries is a hilarious fast-paced zombie card game for 2 to 8 players and is a sequel to Give Me The Brain! Superdeluxe Edition. At Friedey's, the fast food restaurant of the damned, Zombies are racing to build combo meals from hands full of random food. That's right. Players are Zombies working at a fast-food joint, and they have a handful of random ingredients. Your job is simple: fill orders faster than everyone else. This is challenging, but not impossible. Especially when the customers get impatient and let you leave stuff out. Lord of the Fries not only has the original Friedey's restaurant (from Give Me The Brain!) but also includes McFrye's Coffee and Dessert Shop. 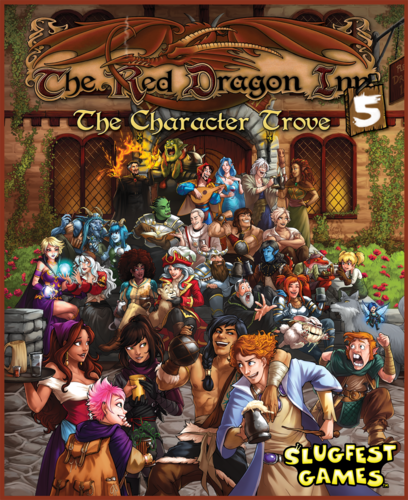 Joran the Trickster - quite the prankster, clever in pulling fast one on the bad guys. 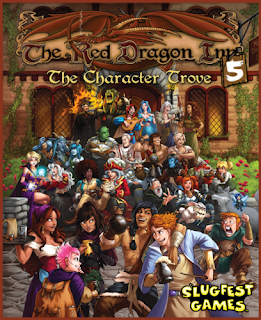 Addtionally, the Red Dragon Inn 5 includes a storage insert designed to hold all previous Red Dragon Inn characters and more. Adding to our young kids section is Yeti In My Spaghetti, a wacky game of noodles aimed at ages 4 and up. 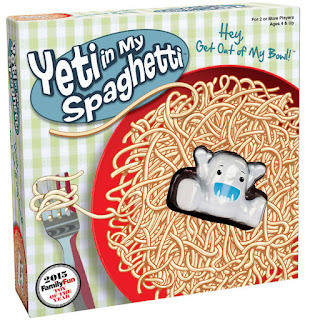 Yeti is just chilling on the noodles...but as you carefully try to remove them one by one, Yeti could fall into the bowl. 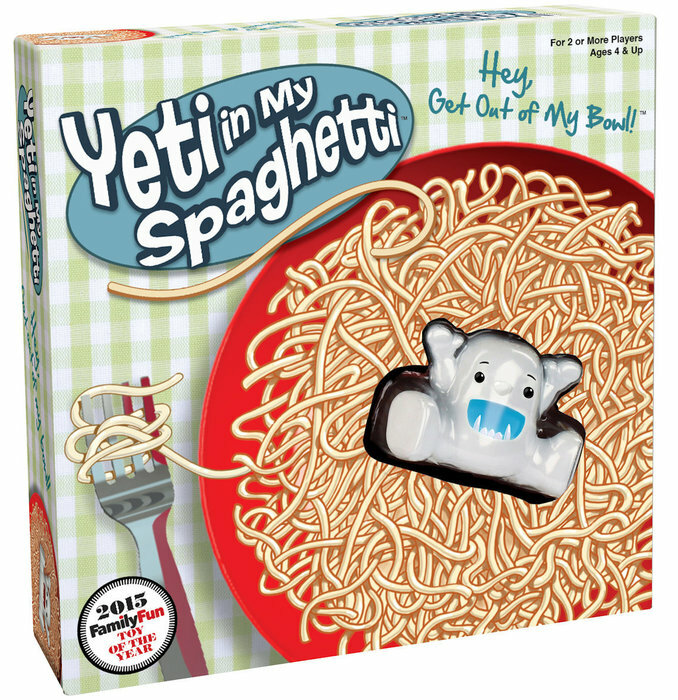 You want Yeti to stay steady on the spaghetti, at least during your turn.